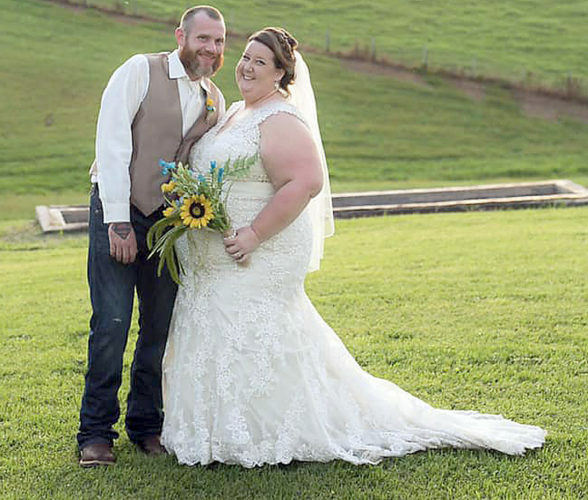 Amanda Beth Kelley and Andrew Glenn Sweet were united in marriage on Aug. 11, 2012, at the Bear Paw Ski Lodge in Canaan Valley. The ceremony was officiated by Dan Unger, a friend of the bride and groom. The bride is the daughter of Jeff and Nancy Kelley of Valley Furnace. She is the granddaughter of Harley and Mary Poling of Valley Furnace, and Paul and Jean Kelley of Bridgeport. 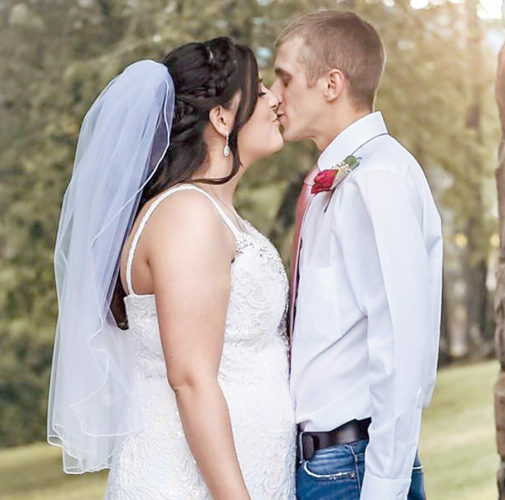 The bride is a 2008 graduate of Philip Barbour High School and a 2012 graduate of Fairmont State University with a bachelor’s degree in elementary education. She currently is pursuing a master’s degree in reading and is employed by the Barbour County Board of Education. The bridegroom is the son of Glenn and Janis Sweet of Philippi. He is the grandson of Kurt Hellmann and the late Mildred Hellmann of Pittsburgh and the late Torrence and Barbara Sweet of Springdale, Pa. 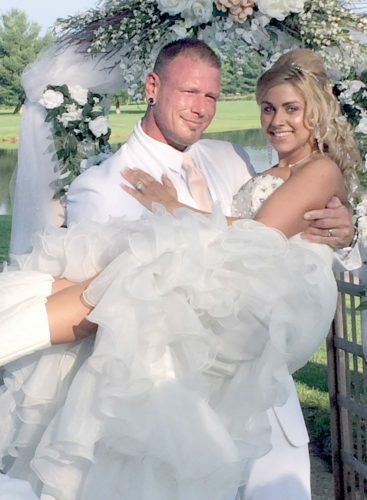 The bridegroom is a 2002 graduate of Philip Barbour High School and a 2006 graduate of Glenville State College with a bachelor’s degree in business administration. Presently, he is a fifth-year apprentice in IBEW Local 596, working for Mon Valley Electric. Amber Gatewood and Ashley Workman, sisters of the bride, were the honor attendants. Bridesmaids were Megan Hefner, a cousin of the bride; Whitney Nestor, a friend of the bride; and Elizabeth Sweet, a sister of the groom. Ally Rosendale, a cousin of the bride, served as the flower girl. Stephen Miller and Mike Delauder, friends of the bridegroom, served as best men. Groomsmen were Jason Foy, Drew Wilmoth and Eric Corder, all friends of the bridegroom. The ring bearer was Cole Rosendale, a cousin of the bride. Vocalists were Amber Gatewood and Ashley Workman, sisters of the bride. Serving as the reader was Lauren Schiefelbein, a friend of the bride. 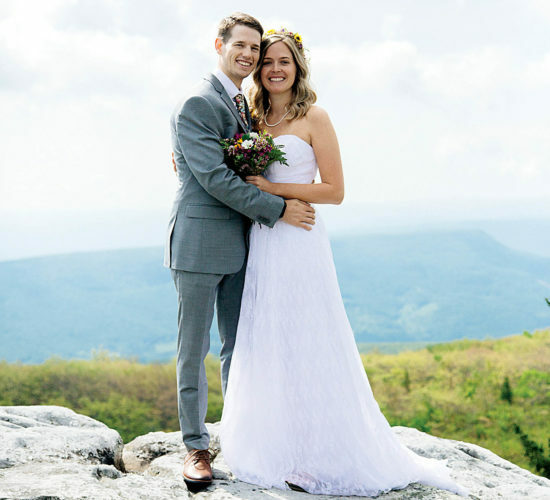 The musician for the ceremony was Charles Ervin, a friend of the bride, and the guest register was Haley Simonds, a cousin of the bride. Following the ceremony, family and friends celebrated with the bride and bridegroom during a dinner dance at the Bear Paw Ski Lodge. The Under Shelter Band from Morgantown provided entertainment. 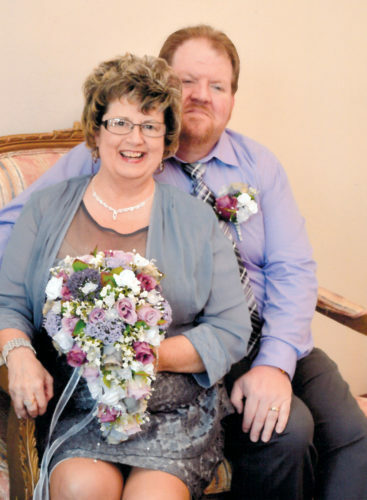 After a honeymoon at The Now Jade resort in Mexico’s Riviera de Maya, the couple is residing in Valley Furnace.